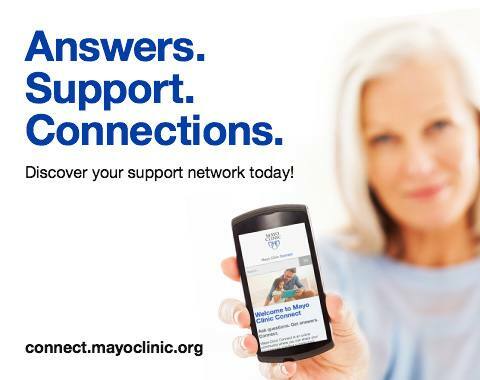 What is Mayo Clinic Connect? Mayo Clinic Connect is an online community where patients and families share experiences, find support and exchange information with people who've faced similar experiences. Each year, thousands of people with various backgrounds and medical conditions find support through other members on the Connect community. 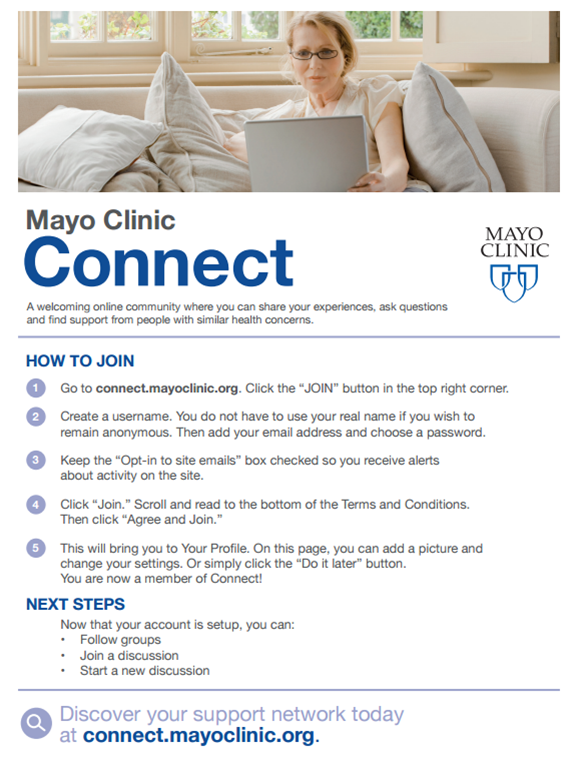 Connect provides a place for community members to learn more about Mayo Clinic and their particular health interests. Connect is managed by the Community Director, and moderated by a team of community moderators, who keep the community safe and welcoming. Furthermore, the moderating team supports a volunteer group of active community members who are trained to be patient and family mentors of the community. Read more about Connect Moderators and Mentors. 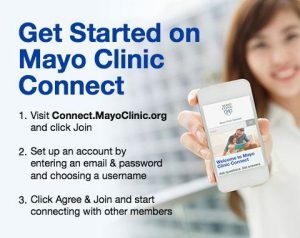 Mayo Clinic Connect is an online community where patients and families share experiences, exchange information and find support from people like themselves. Connect is managed by a team of community moderators, who keep the community safe and welcoming. They also support a volunteer group of patient mentors who assist in monitoring the community, connecting new members and keeping the discussions active. Here are some sample posts you can share on your favorite social media channels. Feel free to edit to suit your voice and your followers. Contact Margaret Shepard to order. An 8x8 inch perforated postcard that people can tear in half to share with a friend or family member. 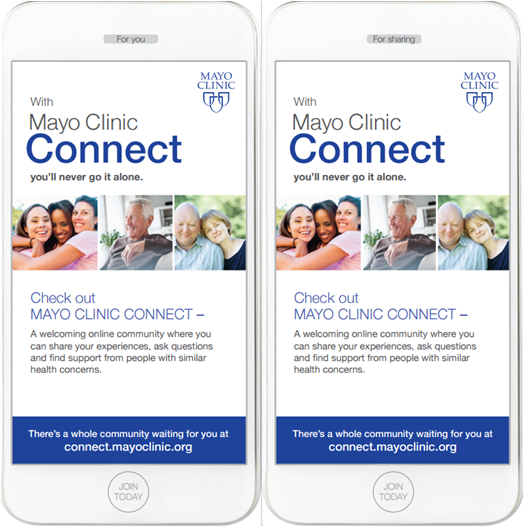 For distribution to patients and families throughout Mayo Clinic. An 8.5x11 inch one-sided poster to be placed beside patient computer terminals at Mayo Clinic. Also for distribution to patients to take home.